Even a great movie can be ruined by a bad ending — it's arguably the hardest, and most important, part to get right. Continuity errors and awkward dialogue might be forgiven, but a movie's ending sticks with the audience long after the credits roll. For example, look at M. Night Shyamalan's The Village — it's a terrifyingly intense thrill ride, but the last 15 minutes ruined it. You can't just throw everything that happened in the movie out of the window and call it a "twist," Mr. Shyamalan. Thankfully, that's what alternate endings are for. When the theatrical cut goes wrong in the final act, alternate endings allow fans to see a film how it really should be, or at least how they want it to be. In many cases, they're even better than the one used in theaters. Check out these famous films with awesome alternate endings, but watch out for spoilers! 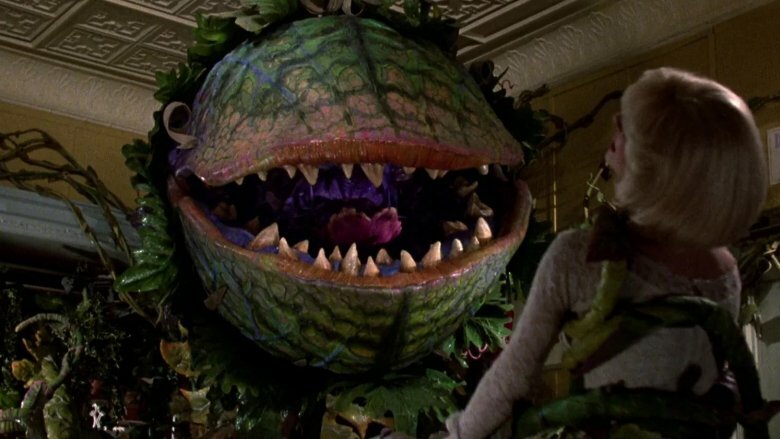 In the 1986 film adaptation of the hit musical Little Shop of Horrors, flower shop employee Seymour (Rick Moranis) discovers an unusual plant during an eclipse. He brings the plant back to the shop, naming it "Audrey II" after his attractive coworker Audrey (Ellen Greene). The amazing plant brings in business, but things go south when Audrey II starts craving human flesh. Alternate ending: The original ending to Little Shop of Horrors stays true to the musical's finale. Audrey II mortally wounds Audrey, and later eats Seymour alive. In the epilogue, we learn that after an enterprising businessman sold Audrey II buds in stores, they spread and grew uncontrollably, destroying cities and taking over the world. This awesome extended effects sequence cost several million dollars to make, but test audiences hated it, causing the studio to replace it with a happier ending instead. 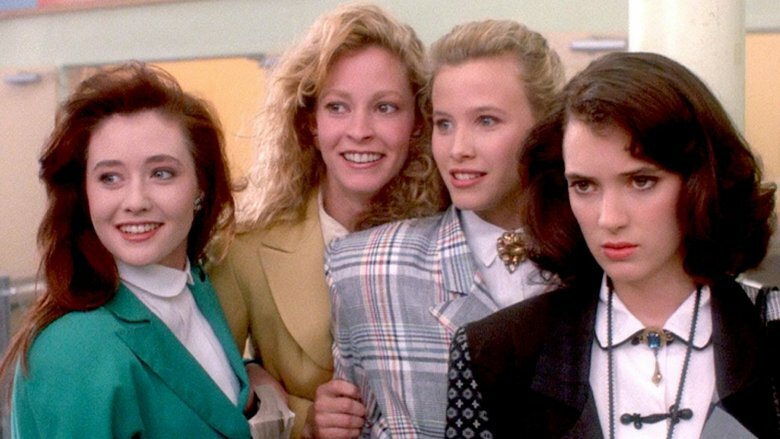 In the 1988 black comedy Heathers, Veronica (Winona Ryder) learns a lesson about the high cost of popularity after she joins a clique of girls (all named Heather) at her school. She also becomes romantically involved with new student JD (Christian Slater), who is determined to shake up the social status quo in some very unexpected ways. Theatrical ending: After JD's bomb explodes, Veronica walks into the school, where she encounters Heather Duke (Shannen Doherty). Veronica takes away Heather's red scrunchie and tells her there's a "new sheriff in town." Then she catches up to her old friend Martha "Dumptruck" Dunnstock (Carrie Lynn), inviting her to hang out and ending the film on a hopeful note. Alternate ending(s): Several other endings to Heathers were scrapped along the way, including one in which Veronica wears the bomb. In the best alternate version, writer Daniel Waters gives Martha Dunnstock the last laugh. When Veronica tries to rekindle their friendship, Martha stabs her in the chest, shouting, "f*** you, Heather!" As she dies, Veronica protests, "my name isn't Heather," but Martha ignores her, getting up from her wheelchair and triumphantly walking away from the friend that betrayed her. 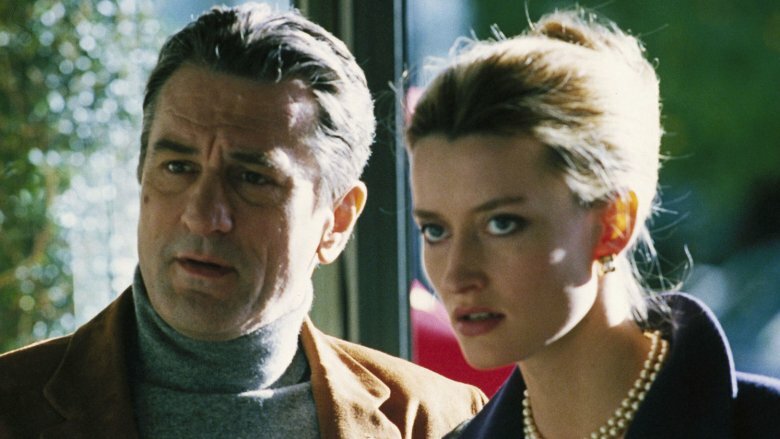 In John Frankenheimer's 1998 action masterpiece Ronin, Irish operative Deirdre (Natascha McElhone) hires a team of mercenaries to steal a valuable (and mysterious) briefcase. This elite squad includes former intelligence officer Sam (Robert De Niro), French marksman Vincent (Jean Reno), firearms guru Spence (Sean Bean), computer expert Gregor (Stellan Skarsgard), and several others. Ronin might just be the best action thriller since 1971's The French Connection, but the ending of the film feels incomplete. Theatrical ending: Sam and Vincent meet at a cafe, where they learn that a peace deal has been struck between the Irish Sinn Fein party and the British government. For a moment, Sam seriously considers the possibility of pursuing a relationship with Deirdre. Unfortunately, she never shows up to the meeting, leaving Sam (and the audience) frustrated by the lack of closure. Alternate ending: In this version, we learn why Deirdre doesn't show up. She makes her way towards the cafe, but seemingly changes her mind and heads towards her car, deep in thought. Her contemplation is interrupted when a van pulls up next to her and several armed men jump out and kidnap her. Are they with the IRA? We'll never know, and Sam and Deirdre will never get to talk about their feelings for each other. As Sam sits drinking his coffee 100 yards away, Deirdre is roughly pulled into the van, never to be seen again. A sad ending to be sure, but one that gives viewers closure and adds some poignancy to the thrilling plot. 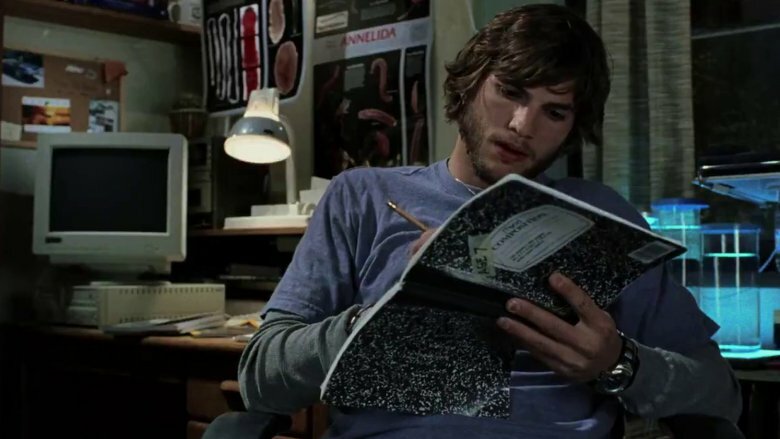 In the 2004 psychological thriller The Butterfly Effect, 20-year-old Evan (Ashton Kutcher) discovers his frequent headaches and blackouts are actually a manifestation of something much more mysterious: the ability to travel back in time. Evan uses his childhood journals to go back and change traumatic experiences for himself and his friends. However, he soon learns that even small and seemingly positive changes can drastically affect the future — and not always in a good way. Theatrical ending: Evan travels back to the day he met his friend Kayleigh (Amy Smart) and changes things so they never meet and become neighbors. When Evan returns to the future, he'ss relieved to see that this change has made things better for the lives of his friends. He burns his journals, thereby preventing himself from ever altering the timeline again. Alternate ending: The alternate ending found on the Director's Cut DVD is much darker than the original. On the brink of madness, Evan travels back in time, strangling himself in the womb to prevent his own birth and the continuation of the time-traveling gene, which also afflicted his father. Then you realize that this may have actually happened before, because his mother had several miscarriages before Evan was born. For a movie that offers so much to think about, this ending is definitely the more thought-provoking one. In the 2007 thriller 1408, paranormal author Mike Enslin (John Cusack) checks into the Dolphin Hotel to investigate an allegedly haunted room. A true skeptic, Enslin decides to stay the night in room 1408, despite the warnings and pleadings of hotel manager Gerald Olin (Samuel L. Jackson). What he finds there is terror on a much deeper and more personal level than he ever anticipated. 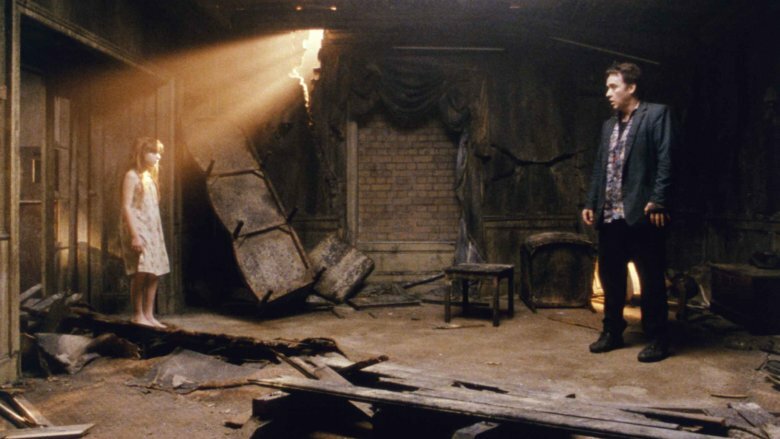 In addition to the ending used in the theatrical release of 1408, director Mikael Håfström filmed three other finales. Although none really resemble the ending of Stephen King's short story, one alternate version is far superior to the slightly sappy one shown in theaters. Theatrical ending: Mike survives the fire and reconciles with his estranged wife, Lily (Mary McCormack). Enslin talks about living with your bad memories, and the couple hear their daughter Katie's voice on the tape recorder — confirming his account of what happened in the room. Alternate ending: In this planned original ending, Enslin dies in the fire — which destroys the room and ends the threat it poses. He reunites with his daughter as a ghost, and Lily moves on with her life, never learning the truth. Unfortunately, the studio decided to swap it out for the theatrical release with one of the happier endings. This bleak but more intriguing version later became the default ending of the "Director's Cut" Blu-ray release. 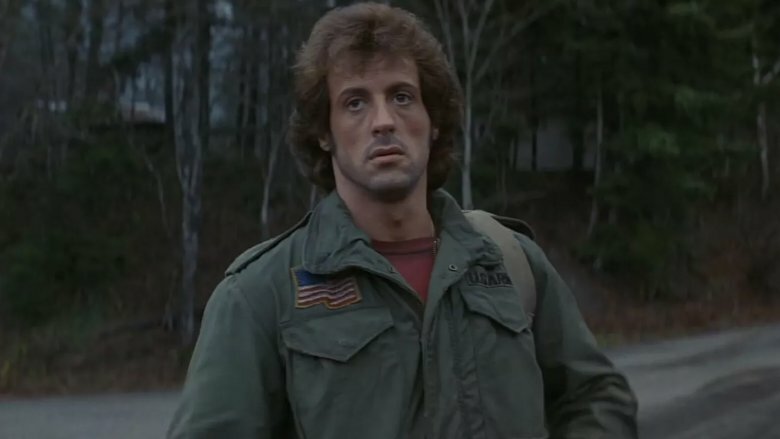 In the 1982 action film First Blood, Vietnam veteran John Rambo (Sylvester Stallone) drifts through Washington state, where he has a run-in with the intolerant Sheriff Teasle (Brian Dennehy). After the former Green Beret refuses to be pushed around by the authoritarian cop, Rambo finds himself fighting for his life as he tries to escape the small town and evade Teasle and his lackeys. Theatrical ending: Rambo corners and wounds Teasle, preparing to kill him. However, his former commander Colonel Sam Trautman (Richard Crenna) arrives in time to stop John from doing the deed. Rambo breaks down, recounting his traumatic experiences during the war and surrendering to Trautman. It's not necessarily a bad ending, but it was a little unsatisfying — and it left the door open for several mediocre sequels. Alternate ending: The original ending to First Blood keeps much closer to David Morrell's 1972 novel. Rambo still has his tearful breakdown, but he decides that the events of Vietnam have made his life all but pointless, as he can't live normally in society and has nothing but more misery and painful memories to look forward to. Rambo gives the Colonel his gun, begging him to kill him. When Trautman can't do it, Rambo grabs his arm, causing the gun to go off. Given what we know of Rambo's character, this finale seems like a more fitting and realistic way for him to go out. John Hughes' 1986 cult classic Pretty In Pink features geeky high schoolers Andie (Molly Ringwald) and her best friend, Duckie (Jon Cryer). Duckie is madly in love with Andie, but she begins dating the popular Blane (Andrew McCarthy), triggering a bitter argument with Duckie. Later, Blane's friend Steff (James Spader) teases him about Andie, causing Blane to avoid her and lie about his prom plans. Undeterred, Andie goes to the prom alone — but she still has a chance to find true love. Theatrical ending: At the prom, Andie and Duckie make up and head for the dance floor. After telling Steff what he thinks of him, Blane congratulates Duckie and tells Andie that he'll always love her. Blane kisses Andie on the cheek and walks out, but Duckie puts his own feelings aside and encourages Andie to follow him. Andie and Blane kiss in the parking lot, Duckie dances with a cute girl, and they all live happily ever after. It's all very romantic — if you're a 13-year-old girl. Alternate ending: Test audiences didn't like the original ending, which had Andie choose Duckie over Blane. Seriously, how can anyone dislike Duckie? Pretty in Pink should have been about two geeks finding love, but the revised ending turns it into a formulaic teen fairytale — and Blane is no Prince Charming. Jon Cryer may be famous for that dance in the record store, but the scene where Duckie sits in his room listening to Morrissey sing "Please, Please, Please Let Me Get What I Want" is the most honest performance of teenage heartbreak ever filmed. Although it's never been released, you can see clips of Duckie's fairytale ending on the Pretty In Pink "Everything's Duckie Edition" DVD release. 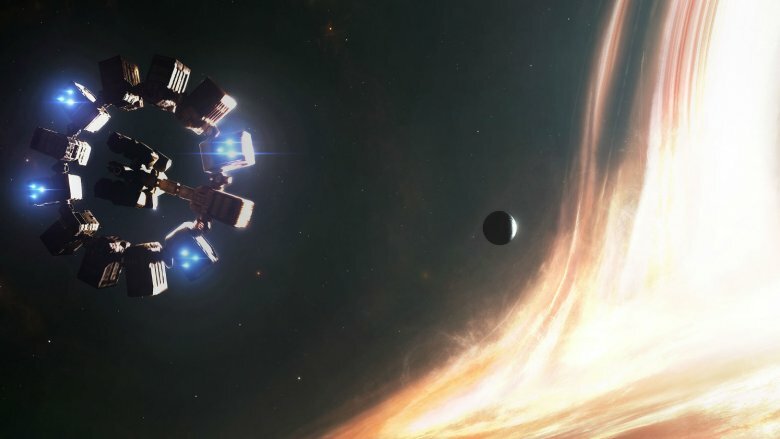 In 2014's Interstellar, the Earth and its inhabitants are threatened by climate change, and the world's brightest minds try to find a way to save mankind. At NASA, physicist John Brand (Michael Caine) plans to transport the population to a new planet using wormholes. Pilot Joseph Cooper (Matthew McConaughey) and a team of researchers, including Brand's daughter Amelia (Anne Hathaway), travel through a wormhole to investigate three potential planets that might be suitable as a new home. Theatrical ending: Trapped in a fifth-dimensional tesseract, Cooper communicates with his daughter Murph across space and time. She is now a scientist herself, and Cooper uses Morse code to send her the data that the team collected. The tesseract collapses, and Cooper wakes up on a space station. The film doesn't give much explanation or rationale for how he was able to survive the experience, but it's a happy ending as a now-elderly Murph sees him off on his next adventure: returning to space to find Hathaway's character. Alternate ending: If director Christopher Nolan's brother Jonathan had gotten his way, Interstellar would have ended differently. They shared writing duties on the script, but Christopher's ending made it into the final draft. In Jonathan's version, "the Einstein-Rosen bridge collapses when Cooper tries to send the data back." The wormhole used by the Endurance falls apart, making Coop's journey into the black hole a one-way trip — no tesseract, no reunion with his daughter. The data makes it back to Earth, but it's detected by a gravity-wave observatory, not Murph's wristwatch. Obviously, Cooper's heroic death would have ended the film on a sad note, but that's a better option than the confusing deus ex machina finale that Christopher Nolan came up with. In Edgar Wright's 2010 action comedy Scott Pilgrim vs. The World, slacker musician Scott Pilgrim (Michael Cera) flounders his way through an unsatisfying life. He's a bassist in a struggling garage band, he has no plans for the future, and his girlfriend, Knives Chau (Ellen Wong), is a clingy 17-year-old high school student. When Scott meets Ramona (Mary Elizabeth Winstead), he immediately becomes infatuated with her — but he must defeat her seven evil exes in order to win her heart. Theatrical ending: The ending used for the theatrical release was actually an alternate ending, written and shot after the original one had been filmed in order to match the ending of the Scott Pilgrim graphic novels. After helping Scott defeat Ramona's final evil ex-boyfriend, Knives tells Scott that she's come to terms with their breakup and understands that their relationship is over. Although she swore to win him back, Knives gives her blessing for Scott to pursue his new romance with Ramona. Alternate ending: If you totally shipped Duckie & Andie in Pretty in Pink, then the original ending Wright planned for Scott Pilgrim should be right up your alley. Scott realizes that he still has feelings for Knives. Ultimately, she's a better match for him than Ramona, and her clinginess is a direct result of how he's treated her. The couple rekindle their romance over a video game, and Ramona realizes that she doesn't need to be in a relationship (or constantly reinvent herself) to be happy. Seeing healthy and mature decision-making in a movie is like seeing a unicorn in the wild, which is why we love this ending. In 1995's Die Hard with a Vengeance, terrorist Simon Gruber (Jeremy Irons) has taken all of New York City hostage in order to steal a boatload of gold and to get revenge on Lieutenant John McClane (Bruce Willis) for the death of his brother, Hans (Alan Rickman, Die Hard). 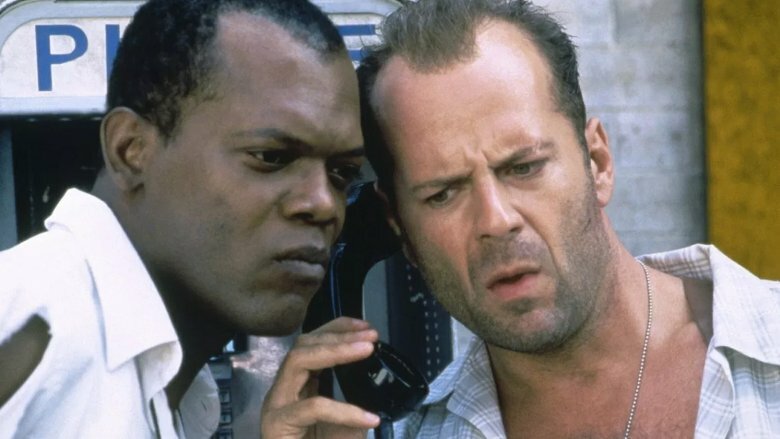 With the help of Harlem shopkeeper Zeus Carver (Samuel L. Jackson), McClane deals with bomb threats and bank heists as he pursues Gruber and his lackeys across the five boroughs. Theatrical ending: McClane follows Gruber to a hideout in Quebec. Most of the bad guys are quickly rounded up, but Gruber and his girlfriend attempt to escape in a helicopter. 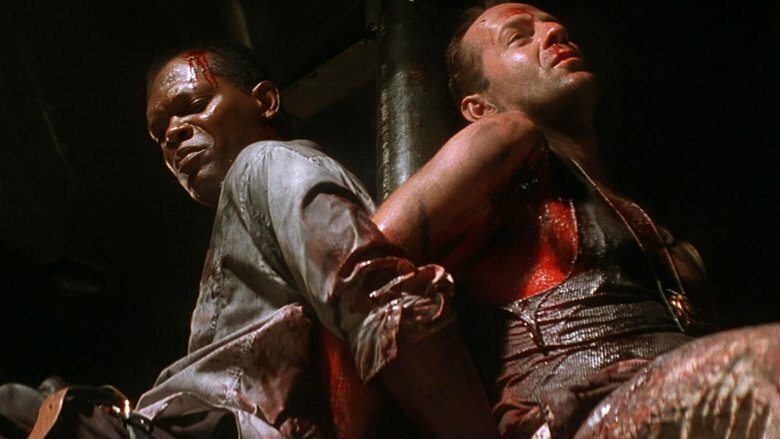 McClane manages to shoot through a power line, which whips around the helicopter and causes it to crash in a fiery explosion. It's a typical action-film finale: unrealistic, full of questionable physics, and made to showcase a big BOOM. Alternate ending: Gruber escapes with the gold, while McClane takes the blame for the terrorist's trail of destruction. The NYPD kicks McClane off the force, but he goes rogue and tracks down Simon Gruber himself. He corners the villain, forcing him to play a game of "McClane Says," with riddles and a rocket launcher thrown in for fun. After a few suspenseful rounds, Gruber loses, taking a RPG to the chest. This more realistic ending is miles better than the theatrical version. Sometimes, justice doesn't prevail. Sometimes, a good guy does bad things for vengeance. And sometimes, even a small "boom" is just as satisfying as a big one. In Alfred Hitchcock's classic 1963 thriller The Birds, socialite Melanie Daniels (Tippi Hedren) and Mitch Brenner (Rod Taylor) meet in a San Francisco pet shop. Intrigued by him, she travels to his home in Bodega Bay with a gift of two love birds. Mitch invites her to dinner, but Melanie is suddenly attacked by a seagull. She takes refuge in the Brenner home from a string of unexplained bird attacks that afflict the town over the next few days. Theatrical ending: During a pause in the attacks overnight, Melanie discovers the birds have broken through the roof. The birds attack her again, and Mitch decides to drive to San Francisco to escape and get her medical attention. The birds wait ominously as Mitch safely gets Melanie and the others to the car, but they don't strike. The radio reports that attacks have begun in other towns, too. They drive slowly away as the sun rises, revealing a landscape covered in thousands of birds. 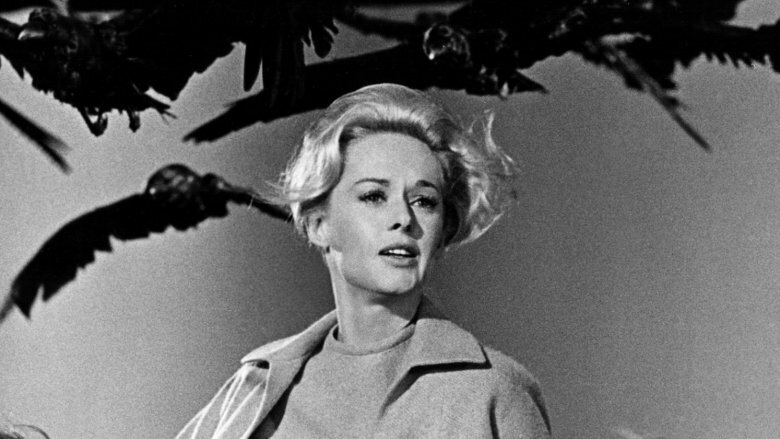 Alternate ending: According to director Peter Bogdanovich (The Last Picture Show), his friend Alfred Hitchcock originally had a much more gripping final scene planned for The Birds. The maxim of "show, don't tell" is one of the most important rules of good storytelling, and Hitchcock wanted to end his epic thriller on a final horrifying note. Mitch and the others drive to San Francisco, where their hopes of refuge are dashed by the sight of thousands of birds perched on the Golden Gate Bridge and circling the city. Unfortunately, the scene would have been too expensive to make. Using the car radio to report the spreading attacks worked out fine, but it would have been pretty amazing if Hitchcock had been able to pull off his original vision.